We will be shipping via USPS Media Mail. We are a small operation, so we ask that you give us 3-5 days to mail out your order. 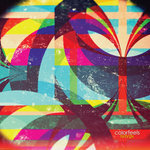 If you have not received your order within 8-10 days, feel free to email support@colorfeels.com. If something's ripped, cracked, scratched, torn, burned, or otherwise broken when you receive it, we'll send you a new one!